He has been called "phenomenally talented", "beyond genius", and a "technical wizard" by the critics, acknowledged as "the greatest bass player in the world" by his colleagues, and hailed by listeners around the world as "a virtuoso bassist without parallel." They may disagree on how to classify him, but one thing remains certain. Critics, colleagues, and fans alike all agree that there is something very special about bassist, Brian Bromberg. Just when everyone thought that bass playing had been pushed to the envelope, Bromberg burst onto the scene in the early 80's with dazzling displays of technical proficiency and lyrically inspiring improvisations. From acoustic bass to electric bass, piccolo bass to midi bass, Brian Bromberg pioneered the art of contemporary bass playing and took it to places where bassists never thought previously possible. But make no mistake about it, Bromberg's music does not consist of just mind-boggling, pyrotechnical, bass chops-laden displays of virtuoso ability. With the release of You Know That Feeling and his latest project, Wood, Bromberg has successfully combined the art of bass playing with cutting-edge technology, creativity, and a sincere passion for the music and in the meantime has proven that his music truly transcends the technique which he utilizes to deliver it. Equally versed on both electric and acoustic upright instruments, Bromberg is regarded as one of contemporary jazz' most highly esteemed doublers. As a bassist, composer, and producer, Bromberg has already experienced more commercial success than most musicians could ever dream. Not only has Bromberg toured and performed around the world alongside some of the greatest musicians of our time and truly revered legends in the history of jazz music, but he has also released some of the most critically acclaimed instrumental albums in contemporary jazz. With the release of A New Day, his groundbreaking debut outing as a leader in 1986, critics and listeners both began to take note of Bromberg's explosive exhibitions of technical brilliance and completely innovative approach to bass playing. 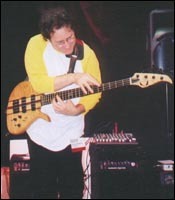 In 1988 Bromberg gained more visibility as a bassist and composer with the release of Basses Loaded and began achieving commercial success with the release of Magic Rain in 1989 which became the No. 1 most added record to radio in the country just in its first week of release. Bromberg's fourth release as a solo artist, BASSically Speaking, included his legendary solo bass composition of the same name and reached Top 5 on the radio charts and #7 on Billboard's sales charts. Bromberg returned to his traditional jazz roots with the release of It's About Time, a straight-ahead, all-acoustic jazz recording that went to #4 on the mainstream jazz charts. He then turned the heads of listeners everywhere with the release of his self-titled project in 1993. In February 1998, Bromberg released what would prove to be one of the most commercially successful recordings ever produced by a bass player, You Know That Feeling. By the summer of 1998, Bromberg had achieved his first #1 record. You Know That Feeling spent seventeen months on the charts and produced three consecutive singles that each went to #3. Bromberg's most prolific recording to date was recognized as the 5th most played CD from the Top 100 CDs of the year in smooth jazz. Years later, You Know That Feeling can still be heard in regular radio rotation on smooth jazz stations across the United States. 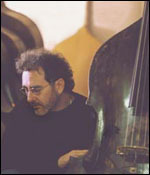 Then, with the release of his all-acoustic project, Wood, in April 2002, Bromberg established the standard by which all contemporary jazz of the 21st century will be measured. On Wood, Bromberg offered up a traditional collection of classic jazz and pop standards skillfully arranged in solo, duo, and trio settings. Fortunately, bassist extraordinaire, Brian Bromberg shows no signs of slowing down. Up next, Brian is set to release Jaco, a tribute recording to the legendary Jaco Pastorius. In 2003 Brian has plans to release a number of productions including an all-acoustic follow-up to Wood, a smooth jazz recording, an instrumental fusion outing, and a project with a straight-ahead jazz quintet. In between all these projects, Brian maintains a busy schedule as a session bassist, a producer for his own B Squared Productions, and performances as the leader of his own acoustic and electric bands. In the following interview with Brian, he shares his thoughts with us over a wide ranging variety of subjects, offers us great advice, and most importantly, gives us a first-hand look at how he has become one of the bass world's most prolific and commercially successful doublers. Brian discusses a number of topics with us including the influence of Jaco, his newly designed "B Squared Bass", his latest all-acoustic release as a leader, Wood, his forthcoming tribute to Jaco, the benefits of doubling on electric and acoustic basses, utilizing bass technology, improvising, practicing, and much more! Could you briefly tell us a little about your background and musical history? I am from Tucson Arizona, born December 5th, 1960. I grew up in a musical family where both my father and brother played drums. Music was always around me growing up. I started on the drums as well growing up, lots of fun. I actually got to be very good on the drums at an early age, I guess kind of a natural instrument for me. One thing that my parents thought might be nice for me was to have a very well rounded education in music. They thought that maybe if I learned an instrument that was a more melodic instrument, that I would get a totally different experience in music. So they suggested the cello and classical music. I have to tell you that the cello is one beautiful sounding instrument, but it never felt right to me. For some reason my hands never felt comfortable on the cello. I played it from 3rd grade on to 7th grade. It was there in junior high school that I had a very funny thing happen to me. The orchestra director in the junior high orchestra came to me one day and said: "Brian, do you see that big neat bass over there? Well, nobody is playing it, and you know we have a lot of cello players in the orchestra and no bass players. Why don't you give the bass a try, you would be the only bass player in school!" Well, what he really was saying was that he would rather have one bad bass player than no bass player and me trying to saw my cello in half! So it was all because of him that I play the bass. As a bassist, did you study formally or were you primarily self-taught? In Tucson there were not very many bass players or teachers for that matter. There were some players in the Tucson Symphony and some players at the University of Arizona. There also were a handful of guys that played jazz gigs in town. At that time, I was very impatient to play well. I was a very difficult person to teach anything on the bass, so basically I just listened to as many records as I could, practiced as often as possible, and tried to play with as many people as I could play with in town. Listening to records was a huge part of my life. It gave me the chance to just get lost in the world of all my heroes. Who were your earliest influences and which bassists have had the most impact on you as a player? In my early years I was an acoustic bass purist. I really only listened to upright bass players. In fact, I never really listened to electric bass players until I heard the Jaco Pastorius record. He inspired me to want to learn how to play the electric bass. He flat out blew me away. Some of my acoustic bass heroes are, in no special order: Buster Williams, Rufus Reid, George Mraz, Eddie Gomez, Scott La Faro, Niels-Henning Orsted Pederson, Ray Brown, Miroslav Vitous, Michael Moore, and Paul Chambers. The list goes on and on. Many bass players that are not very famous also inspired me. Their playing had a very big impact on me and my development as a player, guys like Clint Houston, Cecil Mcbee, Stafford James, Jim Hughart, and John Gianelli. These guys played great and were on some very influential recordings. Back in the 80's you were at the forefront of truly cutting-edge bass technology. Your signature line series of Peavey basses that you designed were the most technologically advanced instruments of their time. What equipment are you currently playing? Thank you for your kind words about the Peavey bass I designed, the B Quad-4 and B Quad-5. Those basses to me were really ahead of their time, true stereo, nylon or steel strings, panning strings, onboard mixer, piezo pickups, 18-volt electronics, and graphite neck. It's really a shame that Peavey didn't understand who I am and the incredible potential of that bass. There was nothing like the B Quad in the marketplace at that point. It's kind of funny. Look how many basses have piezo-magnetic pickup blends now? I am in the process of redesigning my bass for Dean Guitars now. It is called the "B Squared Bass." I am totally updating everything about the bass, the shape, the materials. Larry Fishman is doing all the electronics and Bill Bartolini is doing my pickups. The first prototype rocks like you can't believe! I have already used it on many records as well as on the Grammy's. As far as my rig is concerned, to be honest, when I tour, I am kind of stuck with whatever the promoter backlines me with. Fortunately, since my basses are line level and have a very high output, all I really need to do is plug into a line mixer or regular mixer, and I am off to the races! There is so much gear available today it is nuts. Play through as many rigs as you can, and find the one that flips your switch! Your latest release as a leader is an all-acoutic project titled, Wood. Could you tell us about the material found on this recording and how it came together. Yes, I just released Wood. It is a totally acoustic bass jazz record of solo, duo, and trio performances. I never would have done a record like this on my own. The concept came from Susumu Morikawa from King Records in Japan. He has become an angel in my life. The record came out in Japan first, and I licensed it to the A440 Music Group, my new record label here in the States. I am very proud of this recording in many ways. First, my bass sound on this recording is amazing. I am not trying to talk about myself in an egotistical way, but I have to tell you that I have a really beautiful old Italian bass from the early 1700's. My bass is very hard to record because it needs to be restored very badly. The low E-string is not as loud as the other three strings. Usually you can really hear the volume drop off big time when I play on the E string. That makes me have to rely more on the pickup to get an even volume across the whole bass. For some reason on this recording session, my bass was totally even-sounding. It has never done this in over 20 years! The sound you hear on the record is probably 90% microphone, 10% pickup. I can't tell you how happy I am with that sound, never got it since by the way. Wood is truly a live jazz recording. No rehearsal, no real preparation, just three guys and digital tape, period! It was a blast, believe me. From a technique point of view, you have demonstrated some of the most awe-inspiring solo pieces ever captured on tape, and lately you have been developing quite a reputation as a producer as well. Your pure acoustic tone is simply remarkable. How did you capture the incredible sonic qualities of your bass on Wood? Well thank you for your kind words, it means a lot to me to hear that. As far as the bass sound is concerned, no matter how much technology evolves in recording equipment, there is nothing like the sound of old tube mics and analog recording consoles. I love the sound of old Neve consoles. The one we used on Wood is an old Neve 8078. That board has not been made for many years. It was highly modified and sounds amazing. I believe we used an old tube U 47 microphone on the bass, and that particular mic is one of the better ones out there. My bass, even though it is a wonderful sounding and playing instrument, has some issues when I mic it for recording, as I mentioned earlier, but for some reason on the Wood recording, the bass sounds really great to me. I am very pleased with the sound! Could you tell us a little about your upcoming tribute to Jaco? What will we be hearing on that release? Will there be both acoustic and electric arrangements? I was asked by Susumu Morikawa from King Records in Japan to produce a Jaco Pastorius tribute CD with an all-star line up of bass players. I felt honored to be asked and trusted to make such a special recording. I asked many well known and respected bassists from all forms of music and styles, from acoustic bass stars all the way to rock and pop electric bass stars. Everybody I asked to play on this record for one reason or another fell through and bowed out of the project except for one guy. You can't have an all-star cast with one great player on it! I was put in a very awkward position. I was entrusted to produce this record and deliver what was asked of me as a producer, but I could not deliver that. It was very frustrating. So I was left with two options, stop the project and let the label know that I can't give them what they want or have them tell me to finish the record as a Brian Bromberg tribute to Jaco. The latter is what happened. They wanted me to finish the record and have it be my tribute to Jaco. Let me tell you, this was by far the hardest project I have ever done. There are no bigger shoes to fill on electric bass in the world then Jaco's shoes, period! His music and playing some 20-25 years later to me is still some of the most amazing bass playing and writing ever. Jaco's impact in the music world has not even come close to being eclipsed as far as I am concerned. Because the original recordings are so amazing, I had the next to impossible task of trying to add my voice to the music. I knew that I had to go in a completely different direction with this music, or I would be reamed by the bass-playing world. Nobody but Jaco is Jaco, nobody. So what I did was to use a lot of upright bass on the record, change time signatures, use totally different instrumentation, play piccolo bass, etc. The end result is a recording that I am very proud of, one that is truly a tribute to his music, not just his remarkable playing and sound. Bobby Colomby the producer of Jaco's first record gave me a wonderful quote that says just that, my tribute is about Jaco's music, not just his playing. Since your first big break with Stan Getz in 1979, you have toured, performed, and recorded with a who's who of jazz legends including Herbie Hancock, Dizzy Gillespie, Michael and Randy Brecker, Arturo Sandoval, and Joshua Redman to name just a partial list. On the other end of the spectrum, today you are certainly the most commercially successful contemporary electric bassist with your own acclaimed recordings as a leader. What aspect of your personal playing or performance style do you believe has contributed the most to your success? Well, I'm not sure how in demand I am, but I guess the one thing that I try to do is play for my environment. Just like when I produce, I could play you five different records that I produced and you would never know it because they all sound different. My job as a producer is to make the artist and record sound as good as possible, not to make everything I do sound like me. When I play as a sideman, which are what most bass players do, I try and play what is right for the music that I am playing and also give the artist what they are looking for in a bass player. If I am hired to do a job, it is up to me to do the best job I can and to support the music the way the bass is supposed to. Reading music, playing all styles, and doubling on acoustic and electric bass to me helps a great deal to make yourself so much more versatile and in demand. As one of contemporary jazz's most prolific and highly esteemed doublers, how do you achieve a balance between playing traditional jazz gigs on upright and playing with your own electric band? What aspect do you find most challenging in switching between the two instruments? That's funny, I just mentioned doubling! If you get passed the physical part of playing the two different instruments, the concept and role of the different basses in music are exactly the same. Bass is bass. It's the bottom, the foundation, and the rhythm and harmonic foundation of all music, that is your role as a bass player. I think a lot of electric bass players are scared of the upright bass and a lot of upright players are too close minded to play electric bass. It's a shame. They both are beautiful instruments to play, as well as all of the different styles of music you can play on both of them. It also can double your chances to gig and that means you have a lot more opportunity to earn money and feed your family. I guess I grew up in an era where acoustic jazz and electric jazz were both very creative and cutting-edge. There was none of this retro-paying homage to the past and trying to sound like guys that recorded forty years ago with very little technology. Music in general was in a very new and growing state, it was wonderful. There were no radio edits, no research firms, no blind testing of music, and really no big music industry to speak of, just a lot of creative music in all styles. I think with all of that great music around it was easy for me to want to learn how to play both acoustic and electric bass. I played upright first, but then I heard Jaco Pastorius. His playing and sound made me want to learn electric bass. Fusion was very big when I was learning, and the playing was really amazing, mostly electric music. I think it was a much less judgmental time and playing both basses was just a natural thing to do. By utilizing some of the most technologically advanced basses ever designed, you became a pioneer in composing music with stereo panned, midi, and piccolo electric basses. This technology opened a lot of doors for you musically. Could you tell us a little about how you used this technology? How did this technology help to achieve your musical vision? Things all started for me with new technology and directions for the electric bass kinda by accident. It all started with me not liking the shape of most of the electric basses in the early 80's. I just started drawing different shapes on a piece of paper until I drew one that I liked. There were a couple of basses that I liked some of the shape, but not one whole instrument flipped my switch! When I had my shape, I drew it out on the top of my Fender Jazz bass and then had it cut out in that shape. The whole piccolo bass thing came from me taking off the low tuning strings from my 8 string bass and hearing what it sounded like with just the high guitar sounding strings on the bass. That sound totally blew me away. I could play the bass, but I could hear it in a more melody-oriented range. I guess that sparked the melodic and composing side of me that I didn't even know I had. That opened huge doors for me musically and I guess put me on a totally different path on the bass. In the late 80's and early 90's I was checking out everything. I remember seeing somebody play a Chet Atkins nylon string electric guitar and I went wow, I want a bass that sounds like that! That is where the whole piezo pickup thing came from. You need piezo pickups for nylon strings. With individual piezo pickups in each string saddle, you have discreet control from left to right in the stereo spectrum. That is how all of my stereo piezo basses evolved. They can use steel and nylon strings as well as regular and piccolo tunings, very versatile. You've already achieved so much commercial success as not only a bassist but also as a composer, arranger, and producer. Composing music is such a subjective matter. How do you approach composing? Do you have a particular method or process which you like to utilize? Do you write and arrange most of your material on bass? When I write music, it either happens on the piccolo bass or just in my head. I write a lot of my music in my head, and then I will go to the bass and learn how to play what I just wrote. I have no special formula. It either happens or it doesn't, like I am channeling it from somewhere else. Your solos are so well defined. How do you approach improvisation? When you improvise a solo do you have a specific concept or idea in mind before hand? Are you thinking in terms of patterns, scales, or does it come from a deeper place? Well, improvising is the place where I just be. It is my therapy, like a conversation with the universe, total honesty, no other influences, language barriers, words, or other distractions. Never in my career of recording records have I worked out a solo in advance. I have never written one, learned one, or practiced one before I recorded it. To me, that takes away everything I have spent my life trying to do. That instant, spontaneous creativity is why I played music in the first place. That is what jazz is all about. Obviously it has taken years of dedicated, hard work and countless hours spent in the practice room to reach the virtuoso level you have achieved. Do you have a daily practice routine? If so, could you run us through it? If you currently don't maintain a regular practice schedule, in what areas did you focus the majority of your practice time on when you decided that you wanted to become a professional bassist? I spent my late teens locked up in a room practicing most of the day and night. I ditched school and stayed in a practice room were the orchestra rehearsed and played bass most of the day. Then I would go home from school and play most of the rest of the day, into the night. By the time I was a junior in high school, I was in the 1st big band at the University of Arizona. Basically, I blew off school and just played bass. I guess my choices and hard work paid off because I started playing bass for real when I was 15 years old, and by the time I was 18, I was good enough to be recommended to audition for Stan Getz's band. I missed out of a lot of things in life, but I wouldn't change anything. At this point, I just practice to keep the flow going and to keep my fingers in shape. I play a little every day unless I have to learn some music or prepare for a project. To me, it is important to learn all your scales. Play them all the time and teach your hands and fingers where to go and where all the notes are on your instrument. Make sure you warm up slowly first to avoid injuring your hands. If you play both upright and electric bass, divide your practice time evenly between both basses. As an educator, you have released a video which addresses advanced techniques for the four string, piccolo, and synthesizer bass. Have you ever considered releasing a book of transcriptions? That video was one of the hardest things I have ever done. I was very inexperienced and green. At this point I have learned so much about so many things that if I did a video now, it would be much more complete. I think that maybe a book of solo transcriptions would be cool, both on upright and electric bass. Maybe I can work with a publisher and have that done for my next recordings. When your schedule allows, do you teach privately? If so, what sort of direction do you try to offer to your students? What areas of bass playing and music do you try to focus on the most? I fortunately am quite busy these days so when I have time off, I just like to veg! When I do have time and give a lesson, what I teach all depends on the student. I am a very informal teacher and I just feel the player out, watch and listen to them play, then work with them on what I feel the most important thing they need to work on. To me there are basic rules that we all need to follow, but after that, it is all up to each student and the relationship between me and the student. Which direction do you see the art of bass playing taking over the next decade, and where do you see the state of bass in the next 10 years? Every time I think the bass has evolved as far as it can, somebody always comes out of woods and freaks everybody out with something new. I'm sure bass playing will keep evolving and pushing the envelope. That is the beauty of music and life in general. Just ride the wave. What is next for Brian Bromberg? I understand you are involved with a wide range of different projects at the moment including another all-acoustic outing, a sequel to Wood? Are there currently any plans in place to release an all-electric recording? I've got to tell you that I am very blessed. I get to make music with great people, and I am able to earn a living doing it. I am honored and humbled to be able to do this in my life. Just to be able to do what I love doing and the fact that it takes care of me is wonderful. I have many productions lined up right now that will keep me busy for a long, long time, and I'm just finishing construction on my studio. Having my own studio will make it possible for me to do so much more production for my records as well as other records I produce. It's the real deal, a control room, three isolation rooms, floating floors, floating walls, and 9-foot ceilings. I can do just about anything there from a 5.1 DVD audio mix to tracking a 5-piece band live. Do you have any hobbies or interests outside of playing music? I am a drag racing freak as well as most motor sports. I also have a big interest in science, astronomy, nature, geography, and so on. It is very good to have balance in your life. We all can learn so much by studying other fields and by learning from others. I feel that one of the most important things we can do as a people on this planet is to ask "WHY" about anything we can think of. The more we know, the more we have to pull from in our own memory banks. If we grow as people, we grow as musicians. Our instruments are just useless pieces of wood and metal. They can't play themselves. We make the music. We make them sing and tell a story. Person first, musician second, bass player third. What is the best advice that you could offer to an aspiring bassist who is just starting out and those viewers of the IIB who are trying to take their playing to the next level? The best advise I can give an aspiring bass player is listen to as many bass players and to as much music from as many different styles as you can. Open your heart and lose the ego. Nobody plays so good that they should have a big ego and treat other people as less then who they are. We are all the same, just maybe at different places in our journey then some others, but we are all made of the same cosmic stuff. Learn to read music and learn what your #1 responsibility as a bass player is, that you should have great time, a great feel, play the right notes, and play in tune. If Yitzhak Pearlman can play in tune with stubby fat fingers on an instrument with the string length of less then an octave on a bass, then there is no reason at all that any of us should play out of tune on an upright or fretless bass. Just believe in yourself, have heroes but don't copy them. Learn how to be your own hero. Play your way, not like somebody else, but play the right stuff. Remember there are no rules, just your desire!